When the CE mark is used alone in our trouser descriptions, it refers to knee protection. It is also used to show that our work gloves fulfill CE standards. EN 343 Protection against foul weather. This standard encompasses materials and stitching and is divided into two sections: water penetration and resistance to water vapour. Water penetration is noted at the top in the symbol and resistance to water vapour is at thebottom in the symbol. EN 471 High Visibility warning clothes. This standard specifies requirements for clothing capable of signalling the user's presence visually. Performance requirements are included for colour and retroreflection as well as for minimum areas and for the disposition of the materials. There are 3 different classes (class 3 is the highest class). Class 3: Total fluorescent area must be at least 0.8 m² and 0.2 m² reflective material. Class 2: Total fluorescent area must be at least 0.5 m² and 0.13 m² reflective material. Class 1: Total fluorescent area must be at least 0.14 m² and 0.10 m² reflective material. EN 388 Gloves giving protection for mechanical risks. This standard applies to all kinds of protective gloves in respect of physical and mechanical aggressions caused by abrasion, blade cut, tearing and puncture. Protection against mechanical risks is expressed by a pictogram followed by four numbers (performance levels), each representing test performance against a specific risk. The performance level is from 1-5, where 4 or 5 is the best result. a. Resistance to abrasion: based on the number of cycles required to abrade through the sample glove. b. Blade cut resistance: based on the number of cycles required to cut through the sample at a constant speed. c. Tear resistance: based on the amount of force required to tear the sample. d. Puncture resistance: based on the amount of force required to pierce the sample with a standard sized point. In all cases, 0 indicates the lowest level of performance, as follows. These are the requirements for each performance levels. The performance level is displayed alongside the pictogram. EN 511 Protecive gloves against cold. This standard applies to any gloves to protect the hands against convective and contact cold down to –50 °C. Protection against cold is expressed by a pictogram followed by a series of 3 performance levels, relating to specific protective qualities. a. Resistance to convective cold: Performance level 0–4. Based on the thermal insulation properties of the glove which are obtained by measuring the transfer of cold via convection. b. Resistance to contact cold: Performance level 0–4. Based on the thermal resistance of the glove material when exposed to contact with a cold object. c. Permeability by water: 0 or 1. 0 = water penetration after 30 minutes of exposure. 1 = no water penetration. 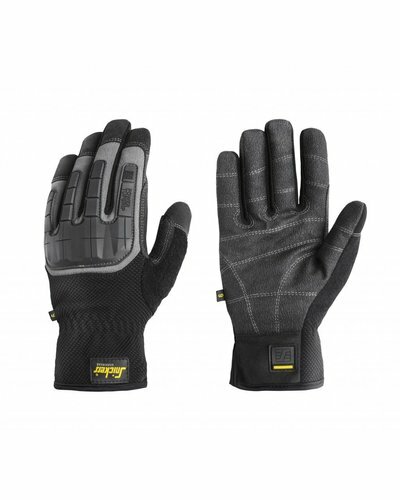 All gloves must also achieve at least performance level 1 for abrasion and tear according to EN 388. EN 11611 This standard specifies minimum basic safety requirements and test methods for protective clothing including hoods, aprons, sleeves and gaiters that are designed to protect the wearer's body including head and feet and that are to be worn during welding and allied processes with comparable risks. EN 11612 Heat & flame protection. 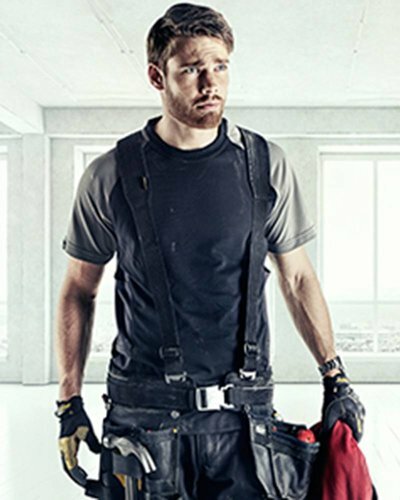 This standard specifies performance for garments made from flexible materials, which are designed to protect the wearer's body, except the hands, from heat and /or flame. This European Standard specifies material and design requirements for electrostatic dissipative protective clothing, used as part of a total earthed system, to avoid incendiary discharges. The material shall meet requirements according to EN 1149-1 (Surface resistance) or 1149-3 (Induction charging). The requirements may not be sufficient in oxygen enriched flammable atmospheres. This European Standard is not applicable for protection against mains voltages. EN 14404 Knee Protection Standard. This standard encompasses the size, force distribution, penetration resistance and user testing of kneepads. Reliable knee protection for craftsmen with a mobile working environment that involves regular kneeling to perform their job. Designed to protect the knees from pebbles, nails and other small objects up to 1 cm on hard and flat surfaces. Effective knee protection for craftsmen who occasionally need to work on their knees indoors. Designed to protect the knees on flat surfaces. 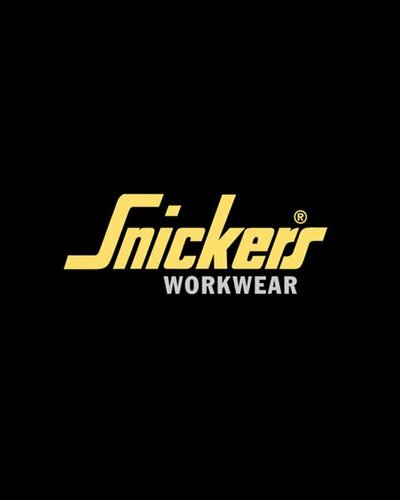 Snickers Workwear kneepads are designated and certified for use with the Snickers Workwear trousers' knee pockets, according to EN 14404:2010. The kneepads are not certified for other branded trousers.